Ruth Paine and Marina Oswald met at a party in February 22, 1963. Exactly nine-months later, on November 22, 1963, Marina’s husband, Lee Harvey Oswald, was arrested for assassinating President John F. Kennedy. 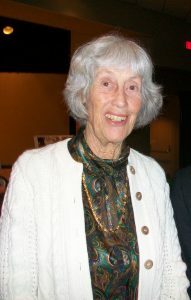 Ruth Hyde Paine became a Quaker while she was in high school in the early 1950s. She believed strongly in the Quaker philosophy. One Quaker belief is that people must be able to communicate with their enemies in order to better understand them and thereby reduce disagreements that lead to war. America’s greatest enemy during the 1950s was the Soviet Union. While attending college Ruth took courses in the Russian language because she hoped that at some point she might be able to, in some small way, help with relations between the U. S. and the U.S.S.R.
Ruth had little reason for using her Russian language skills when she moved to Irving, Texas, in 1959. However, in early 1963, a friend of hers, who was acquainted with a number of Russian émigrés in the Dallas area, thought Ruth might enjoy practicing her Russian and invited her to a gathering of his Russian friends at his house. She met Lee Oswald at the party, but found his conversation too political. She found Marina Oswald in one of the bedrooms of the home and struck up a conversation with her in Russian. The two young mothers, both with small children and in troubled marriages, hit it off immediately. 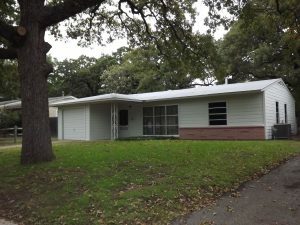 Over the next months, Ruth visited Marina at the Oswalds’ apartment on Neely Street in Dallas and had the Oswalds come to dinner at her house on 5th Street in Irving. When Lee lost his job in Dallas in April 1963, he decided to move to New Orleans and look for work. Ruth offered her home as a place for Marina and her daughter June to stay until Oswald found a job and got settled in New Orleans. For two weeks in May, Marina, Ruth and their children enjoyed a pleasant time together in Ruth’s home. Then Lee called to say he’d found a job and an apartment in New Orleans and was ready for her to come join him. Ruth Paine drove Marina and June to New Orleans the next day. In September of 1963 Lee lost his job in New Orleans. Marina, now eight months pregnant, moved back in with Ruth in Irving until her husband could find a new job and place to live. During this time Lee is alleged to have gone to Mexico City. Back in Irving, Marina found she enjoyed living in Ruth’s tidy suburban home when compared to the run-down apartments she had shared with Lee. She and Ruth developed a strong bond as they helped each other in caring for their children. Marina had her second daughter at Parkland Hospital in October, while she was staying with Ruth. Lee Harvey Oswald returned to Dallas in early October 1963, and, on a tip that Ruth received from one of her neighbors, he got a job at the Texas School Book Depository. 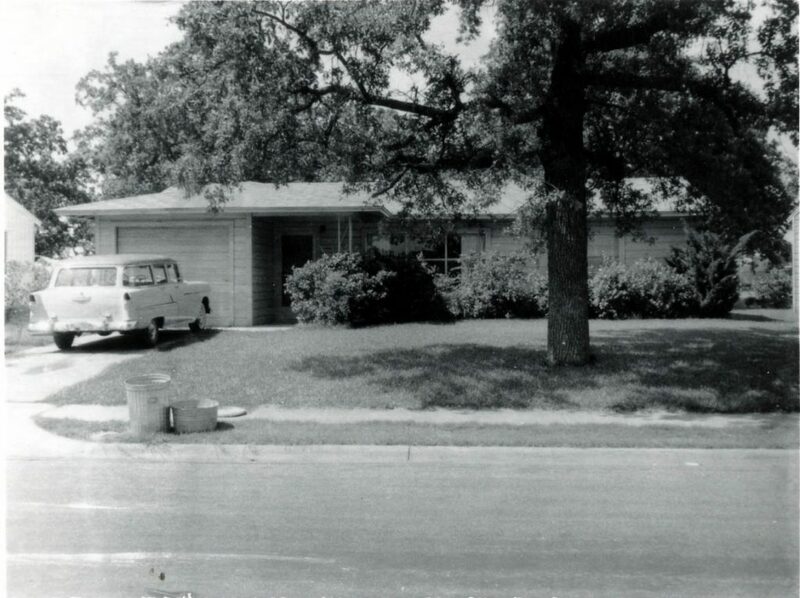 Throughout the fall of 1963 Oswald spent the work week in a rooming house in the Oak Cliff section of Dallas just outside of downtown. On Friday evenings he caught a ride to Irving and spent the weekends with his wife and children at Ruth Paine’s house. This was the standard routine throughout October and November until Thursday, November 21. On that day Ruth came home to find Marina and Lee standing in her front yard. Marina told Ruth that she thought he had come out to apologize for a fight they had over the phone earlier in the week. Lee Harvey Oswald stayed that night at the Paine house. He left for work the next morning carrying a package. After its investigation of the assassination, the Warren Commission concluded that Oswald came to Irving Thursday evening to retrieve a rifle he had stored in the garage of Mrs. Paine’s house and that he had used it to kill President Kennedy during a motorcade through downtown Dallas on Friday afternoon. The City of Irving purchased the Ruth Paine House in 2009 to preserve its historical significance. The house has been restored to its 1963 look and now serves as a museum that tells the story of Ruth and Marina’s friendship and the events that occurred there that swept the small home and its occupants up in the whirlwind of history. For more information about the museum please go to http://cityofirving.org/490/Museums or call 972-721-3729. Guest blogger Kevin Kendro is the archivist for the City of Irving.